Personal Identification Verification is required to download the document. 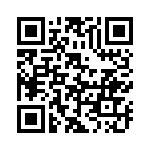 Please scan the following QR Code using 'MSL Wallet' App and get the random number with '*'. Replace '*' with your PIN to create Single Use Digital Signature (SUDS). Personal Identification can be verified using SUDS.